There is no adventure than diving. Whether you are novice, or whether you were been diving for so many years, there is always something new, fascinating or challenging about venturing into the underwater world. Your mind may be mesmerized by clouds of colorful fish, your curiosity raised by the musterios remains of sunken ships or your creativity awakened by the art of underwater photography. Your diving interests may range from a casual pastime, pursuesd on vacation, to constant passion, or even a career. Diving offers something new for everyone. Scuba Diving in andmans is a unique lifetime experience. The coastal water surrounding theses islands is the abode of one of the richest coral reef ecosystem I the world. The specialty is that, there the coral reefs and underwater formation are undamaged by human activity. 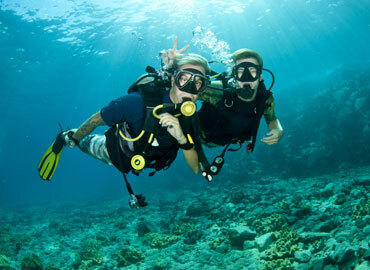 The best season for Andaman Scuba Diving is form December to April For Good Andaman Scuba Diving Packages. Many of the islands are surrounded by fringing reefs, often several hundred meters wide and separated from the shore by a lagoon of similar width. There are also more steeply undulating hills of raval volcanic lava, which makes for some unusual diving. 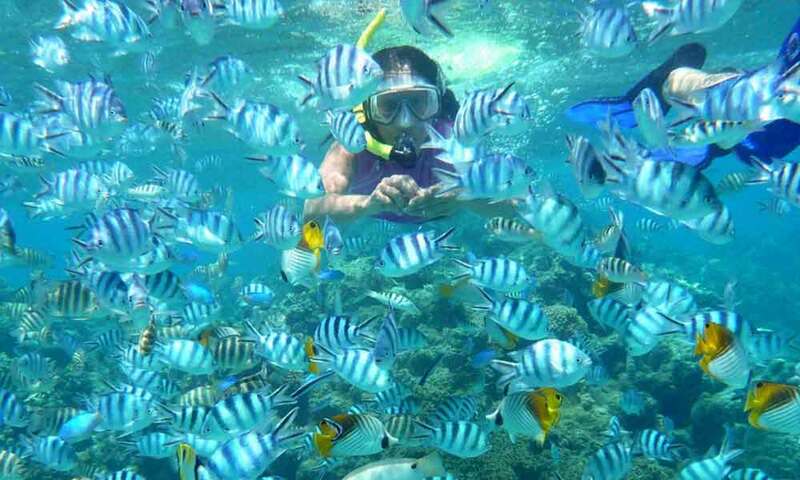 There are plenty of steeply sloping and shallow reefs suitable for snorkeling. Large pelagics are plentiful in thee waters as are a variety of sharks. Large schools of hammerhead often patrol the waters away from the reefs ad grey, whitetip, nurse and leopard sharks are found closer inshore. Silvertip and ocean whitetips also silver and the deep blue beyond. Enormous manta rays are also often seen. 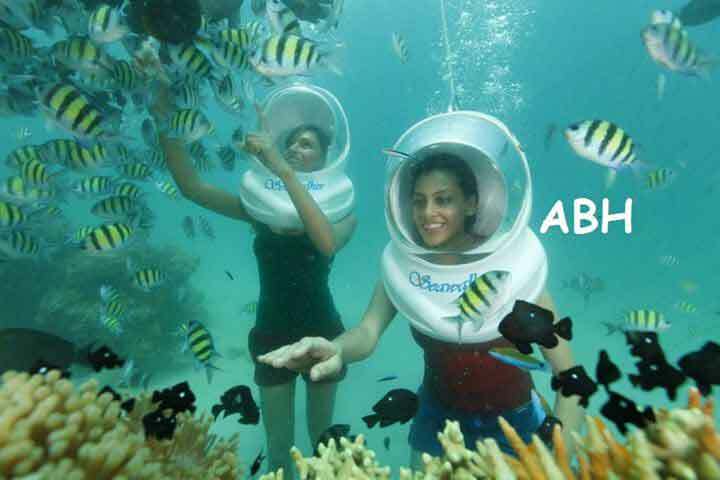 Best season for Scuba Diving in Andaman Was October to April. Dive only on the Areas opened / permitted for scuba diving by the Andaman & nicobar administration. Do not dive with un qualified / un register dive operator for the same may be dangerous for your life. Avail services of scuba dive instructors certified by the international professional organization such has PADI, CMAS, NAUI, BSAC or SSI for safe diving experience. 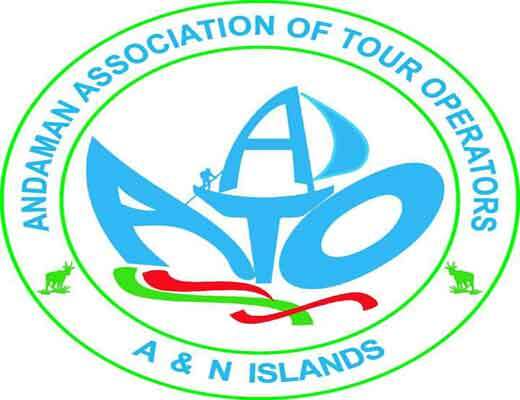 Details about approved scuba dive centers, list of areas / sites permitted by the administration for scuba diving an the terms and condition for operating scuba dive centers in Andamans. INR:- 3500/- Per Person With One Images and Video CD With PADI Certificate. Both Dives Are 30 to 45 Minutes After The Course of 30 minutes.